The Soccer Association of Montgomery (SAM) was established in 2005 by the Maryland Soccer Foundation (MSF), the owner/operator of the Maryland SoccerPlex & Discovery Sports Center. SAM provides superior developmental and educational soccer programs for area youth. Programs include: 2 Kicks (age 2), Pre-Kicks (ages 3-4), Kickers (ages 5-7), Recreational League (6U-High School), SELECT League (9U-16U), Camps and Clinics (7U-16U). SAM is unique in its ability to offer the local soccer community the combination of a world class facility and professional soccer expertise. The Maryland Soccer Foundation (MSF) and, by affiliation, the Soccer Association of Montgomery, are a 501(c)(3) not for profit entity because of our mission to foster regional, national or international amateur sports competition. 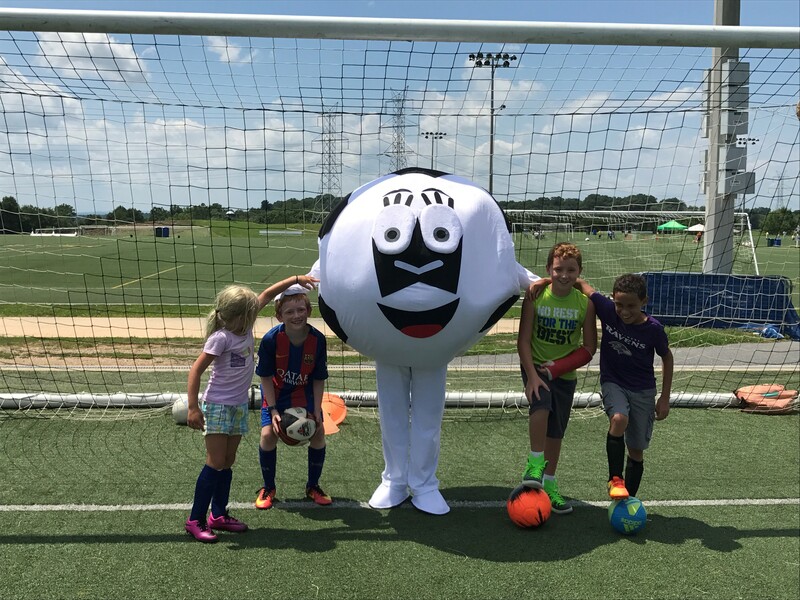 MSF and SAM work in conjunction with Montgomery County Parks Department, Montgomery County Recreation Department, the South Germantown Recreational Park and the Maryland State Youth Soccer Association (MSYSA). SAM’s mission is a commitment to provide a positive soccer experience through a fun and safe environment, which will nurture and foster each young athlete’s character and mental and physical skills. It is essential that the SAM League must endeavor to develop every player. As a coach, whether it is an assistant or head coach, he or she must try to educate its players and parents. It is also the responsibility of the league to educate the coaches and parents of each player within the league. This can be broken down into 3 groups. 6U-8U: Every session must involve a ball. The more touches that the players are taking from a young age, the better he or she will become. This will also help them become familiar with the ball. It will also increase his or her level of CONFIDENCE in his or her own ability. The players will be introduced to group environments to prepare them for the next step. This will help them understand the importance of DECISION MAKING. 9U-12U: The session will now have an emphasis on game understanding and learning the field, i.e. formations, positions and units (GK, Defense, Midfield and Forwards). The coach should also focus on “guided discovery”, asking the players questions and allowing them to discover the answers. Continue to encourage and allow players to make mistakes. It is the best way for them to learn, therefore creating the perfect learning environment. 13U-19U: The session will have a focus on training to compete and skill development. The players will be educated on game situations and how to deal with such a situation. Players are given the opportunity to understand the game, and repeatedly asked, who, what, where, when why and how? Overall, the coach must understand the more the players can relate to the content, the more focused he or she is going to be. Be energetic and ethusiastic. Ask questions, which lead to the players giving the answer.